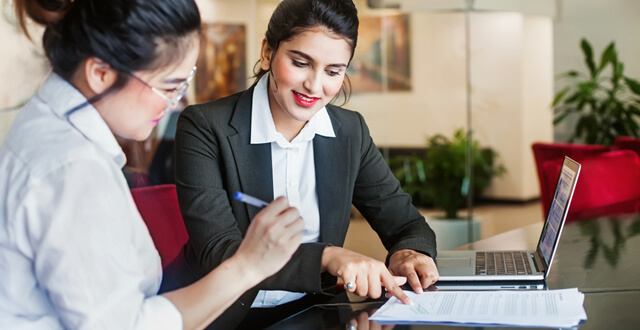 Many businesses experience the need for notary services at one time or another, especially companies handling real estate or other legal transactions. Instead of going to an external source to obtain a notary stamp, more and more organizations are requesting existing employees to gain the proper credentials. This is a smart move, as the convenience of having notary services under your own roof can’t be beat. However, notaries in Texas will be facing a new development in the law covering their services: The state legislature recently passed a legislation that becomes effective January 1, 2016. If anyone in your office is a notary, this is what you need to know. House Bill 1683 was passed earlier this year and it contains two provisions that directly impact individuals with notary commissions. The notary’s seal must include the identifying number. The purpose behind HB 1683 is to reduce the number of fraudulent title transfers, according to hearing testimony presented when the bill was in the committee stage. As the law becomes effective on January 1, 2016, it’s clear that only new commissions and renewals filed after that date are impacted: Existing notary commissions that aren’t up for renewal do not need to apply for the identification number or change their seals. This legislative intent is derived from additional hearing testimony from the author of the bill in the House and from the bill’s sponsor in the state Senate. The Texas Bar Association confirmed this intent with the Secretary of State’s office, which stated that existing notaries do not need to get new seals with the identifying numbers until they’re required to renew their commission. Despite the information gleaned from hearing testimony presented in connection with HB 1683 and verified by the Secretary of State’s office, there are concerns for existing notaries. If anyone in your office is a notary, it’s important to understand the ongoing responsibility after a seal is affixed: That person may be called to testify as to the circumstances surrounding the execution of a document to which he or she applied the seal. As such, a notary may be in a difficult position if a third party challenges the validity of a document because it doesn’t contain the identifying number. Case law precedent in Texas states that if an incorrect seal is affixed by a notary, this is equivalent to no seal at all – thereby nullifying the effect of the document. For instance, if a will is executed, witnessed and stamped with an old seal, it may not be effective for probate purposes. In the realm of real estate, a recorded deed that includes a seal without an identification number may be technically defective. Under the circumstances, the Texas Bar Association has issued a suggested course of action for existing notaries whose commissions aren’t up for renewal. Considering the devastating effects of executing a document that’s technically ineffective, it’s recommended that these individuals replace their notary seals with stamps that include the identification number. The fact is that the Secretary of State has been issuing identification numbers for more than 20 years; these numbers just haven’t been required to appear on seals in the past. Obtaining the seal by January 1, 2016 ensures there will be no question as to the effectiveness of documents executed by the notaries in your office. While the law regarding the legal effect of existing notaries’ stamps may be somewhat murky, one thing is clear: Anyone in your office that has notary credentials should obtain a new stamp that includes their state-issued identification number. And if you don’t have a notary public in your office, make sure that any third-party notary service provider does possess a stamp with the proper identifying information.